You are here: Home / Health & Fitness / Can I Have Snacks When Trying to Lose Weight? Many people say that you shouldn’t eat between meals if you are trying to lose weight. Others believe that eating small meals (AKA snacks) throughout the day are an effective weight-loss strategy. So which is true? Like most things, it depends! First, it depends on your own hunger cues. Are you legitimately hungry? (Not just bored or stressed). Then it may be good to eat something rather than let your hunger go off the charts while you wait for dinnertime. Of course, what you choose is very important. 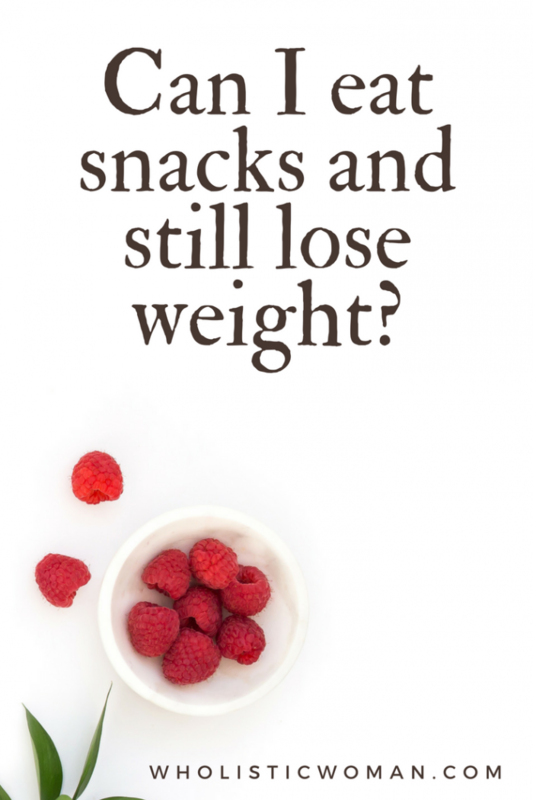 However, it IS possible to have weight-loss friendly snacks that aren’t just nutritious but also delicious! Here are five snack ideas that are nutrient-dense whole foods where a little goes a long way; foods that contain protein and/or fiber. Caveat: These are nutrient-dense little buggers! Don’t over do it. I’m new to the whole chia seed thing, but I’m starting to like them. This is one of my personal favorites, and DH loves to make them in the Instant Pot. Tip: Boil a bunch of eggs — or make them in an Instant Pot — and keep them in your fridge for a super-quick (and nutritious) snack! Tip: Don’t like sesame? Use an avocado in place of the tahini, and olive oil in place of the sesame oil. You can also experiment by adding in different flavorings such as spices, herbs, roasted tomato, etc.